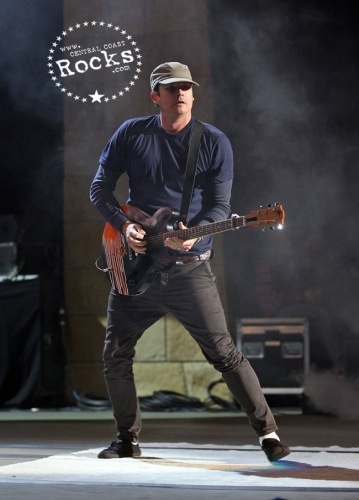 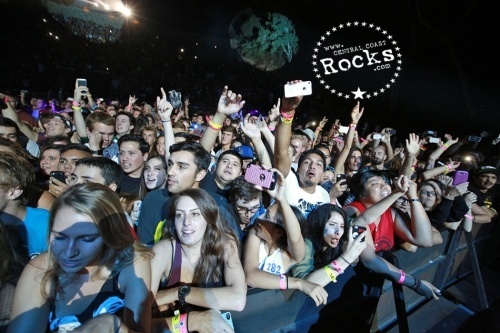 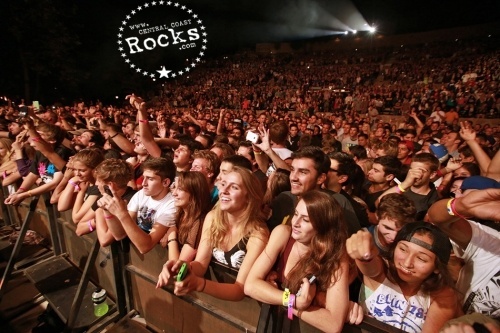 The 9th Annual KJEE Summer Round-Up rocked the Santa Barbara Bowl on Wednesday, September 18, 2013. 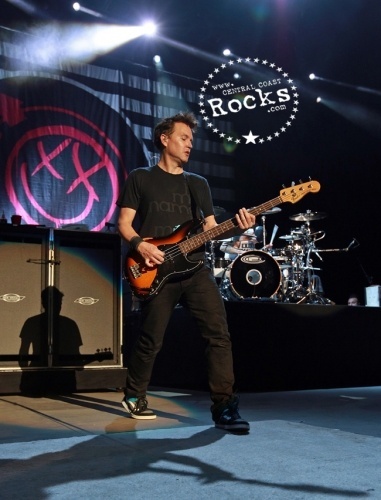 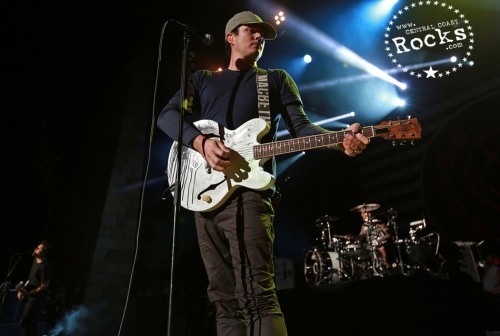 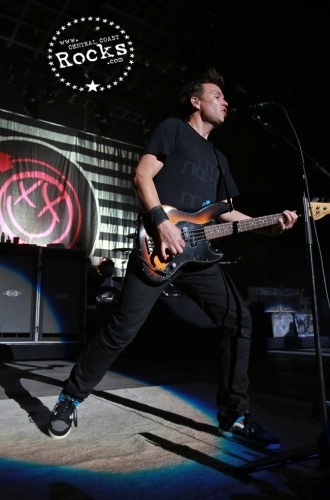 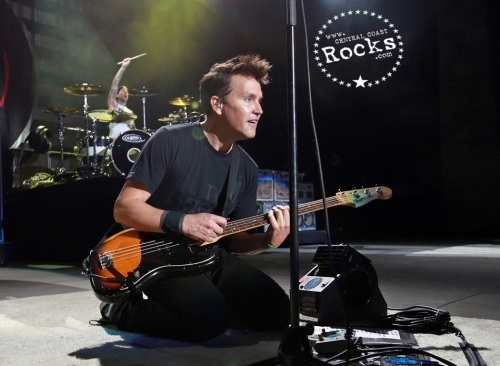 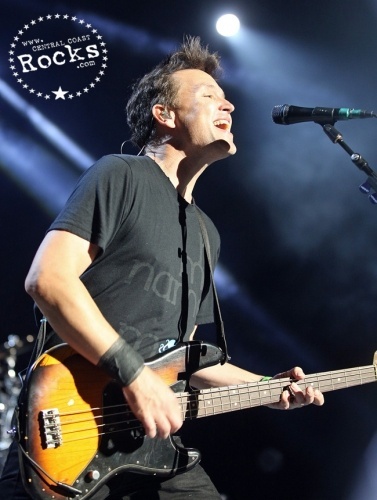 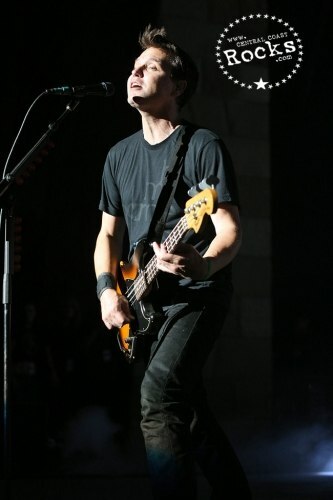 The Round-Up featured one of the world's greatest punk rock bands blink-182 who formed in the San Diego suburbs in 1993. 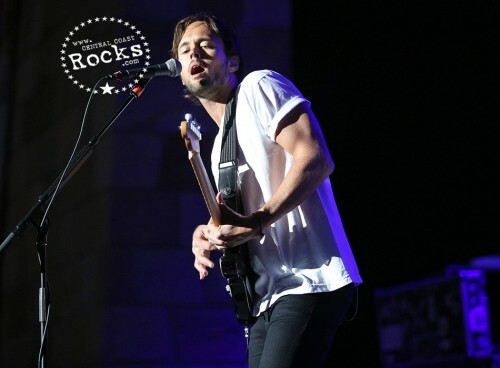 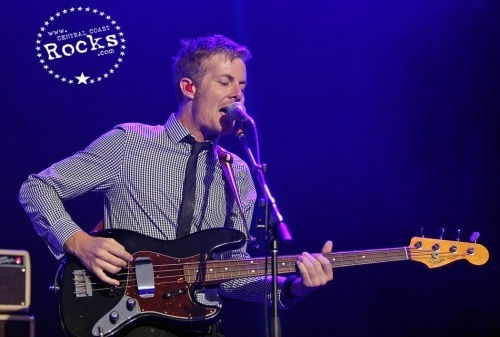 Also on the bill were the indie rock band from Adelaide, Australia Atlas Genius and a rock band from Copenhagen, Denmark New Politics. 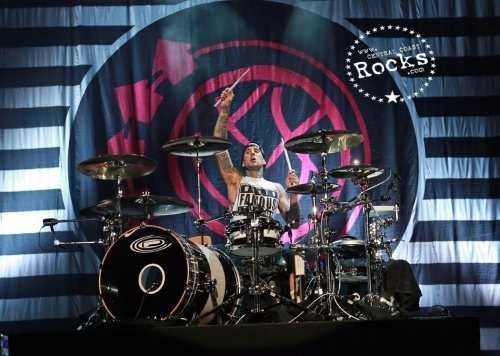 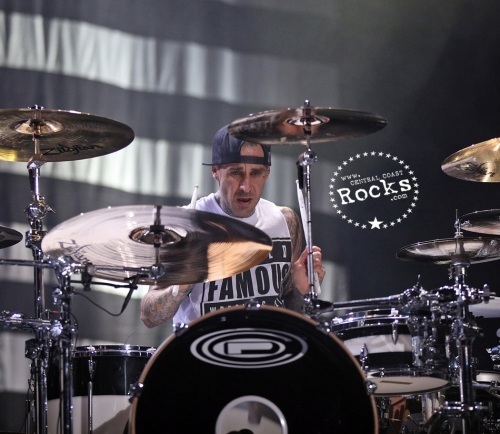 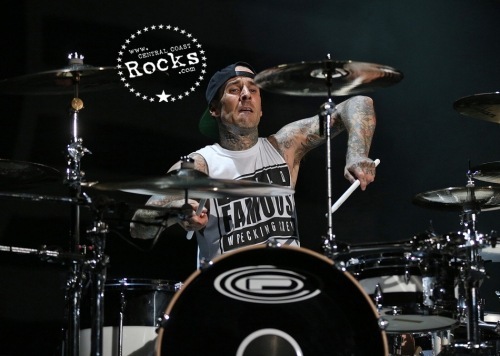 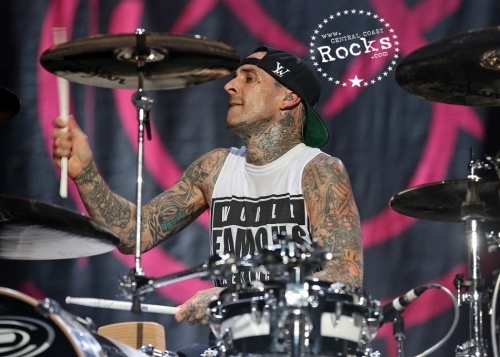 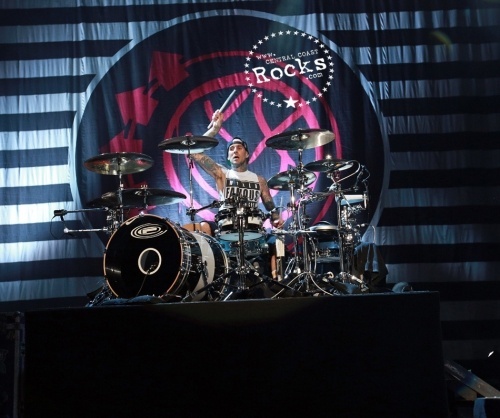 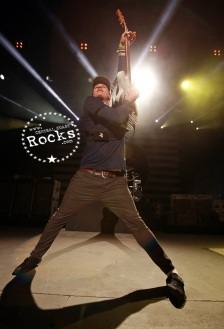 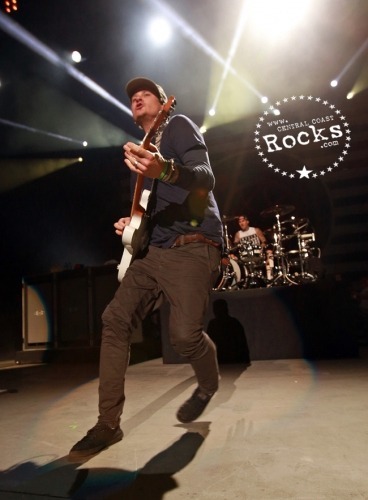 Travis Barker, Tom DeLonge and Mark Hoppus, better known as blink-182, have sold more than 20 million albums worldwide. 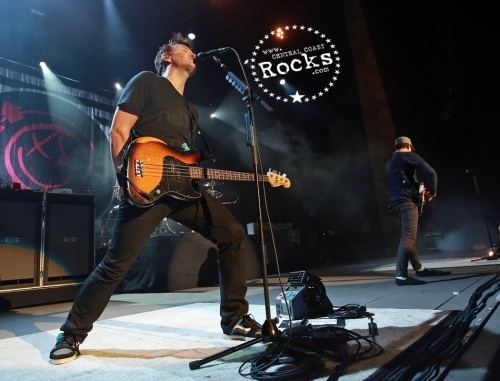 Formed in the San Diego suburbs in 1993, the band found international fame, multi-platinum albums and massive radio airplay success before breaking up in 2004. 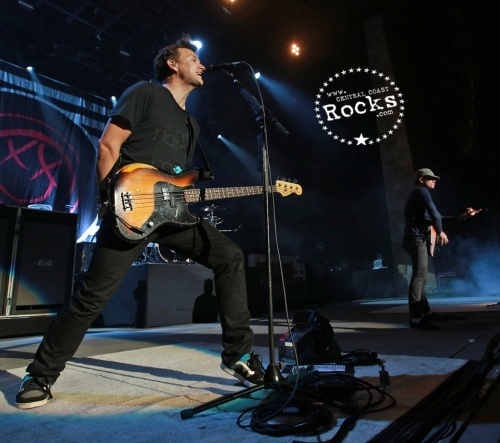 Although each member went on to their own successful projects, personal events and natural chemistry brings them back together. 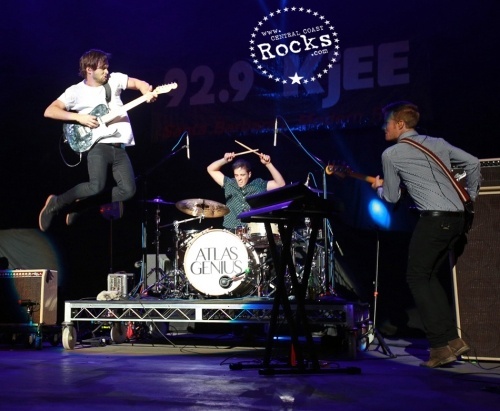 For two years Atlas Genius devoted their days to building a studio where they could write and record music for their newly formed band 3 years before they even played their first live show as Atlas Genius. 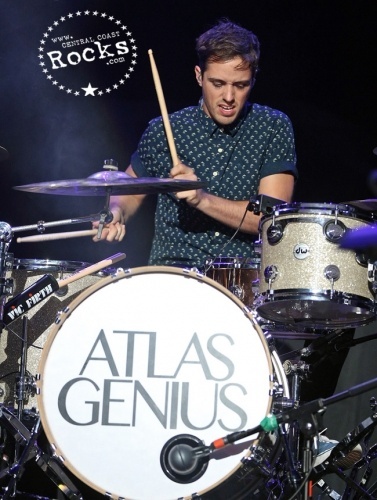 Quickly being named an iTunes Single of the Week in Australia and New Zealand, "Trojans" began selling over a thousand tracks per week on U.S. iTunes and soon climbed to 45,000 sales - all with zero promotional efforts from the still-unsigned Atlas Genius. 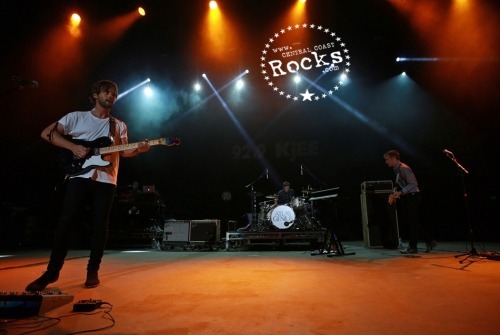 New Politics is a rock band from Copenhagen, Denmark. 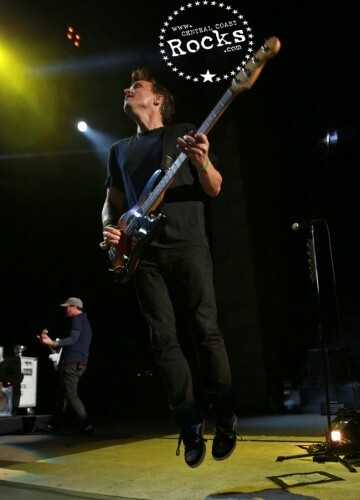 It is made up of David Boyd, Soren Hansen and Louis Vecchio. 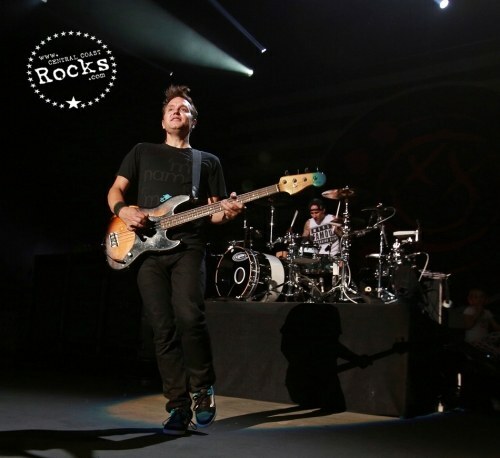 The band embarked on tour for nearly two years with the likes of 30 Seconds To Mars and Neon Trees, enrapturing fans with their intensely dynamic live shows. 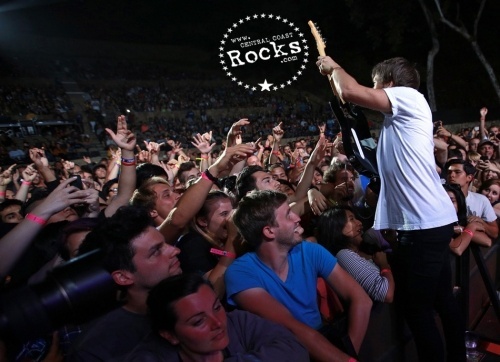 They have released two albums: New Politics in 2010 and A Bad Girl in Harlem in 2013 and are best known for their singles "Yeah Yeah Yeah" and "Harlem. 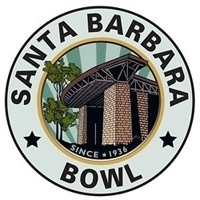 T he Santa Barbara Bowl is a 4,562-seat amphitheater, located in Santa Barbara, California.The Santa Barbara Bowl is open for concerts from approximately April through approximately October with an average of about 27 concerts per season.